How to Grill a Tomahawk Steak, Cowboy Chop, Long Bone-In Ribeye | Valet. It's big, cooked on an open flame and it will impress the hell out of your dinner guests. 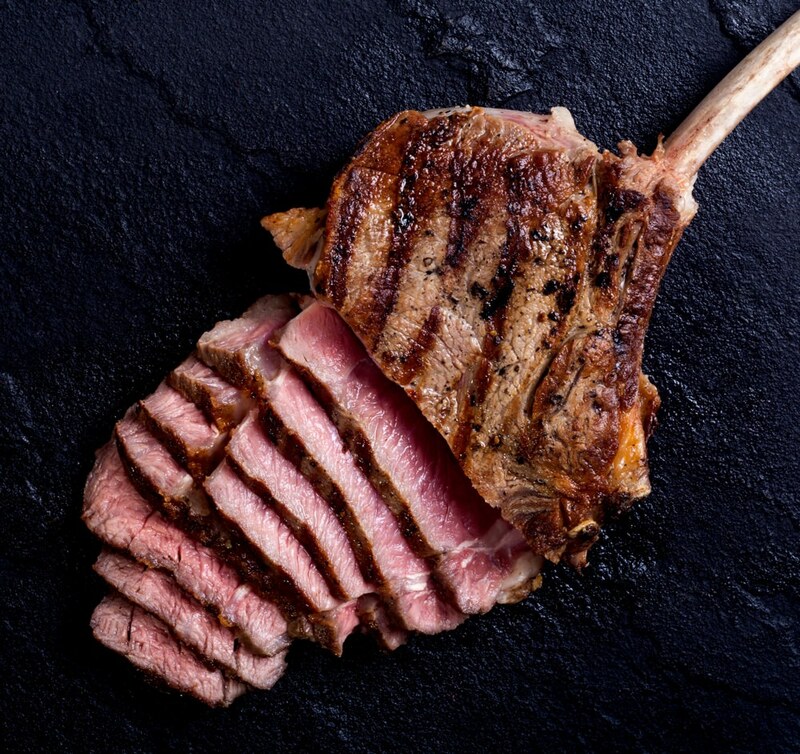 It goes by many names: the tomahawk steak, the cowboy chop or simply, a long bone-in ribeye. 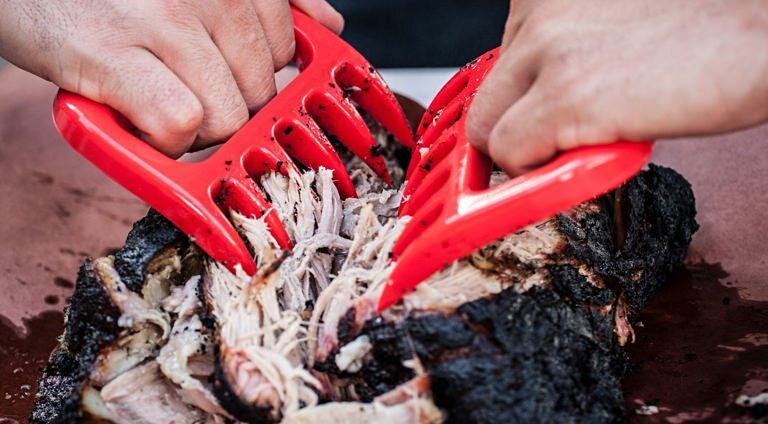 You've likely seen this monster cut of meat making the rounds lately. On the menus of better steakhouses and Michelin-rated restaurants. Across the internet and in those cookbooks that are cool enough for your coffee table. They're popping up more and more because, well, they look unique. Their unexpected shape commands attention. Which is why you might consider these super thick, primal looking steaks the next time you're having people over. Big enough to serve two (and sometimes three or four) people, they certainly make an impression and let's not ignore the fact that they're freaking delicious too. Going thick is always a good idea when grilling beef. And these are always about two inches thick. Why? Because that's how thick the rib bones are. Now, a few chefs or butchers may claim that the extra length of bone on these steaks will add depth and flavor to the meat, but that's pretty much wishful thinking. 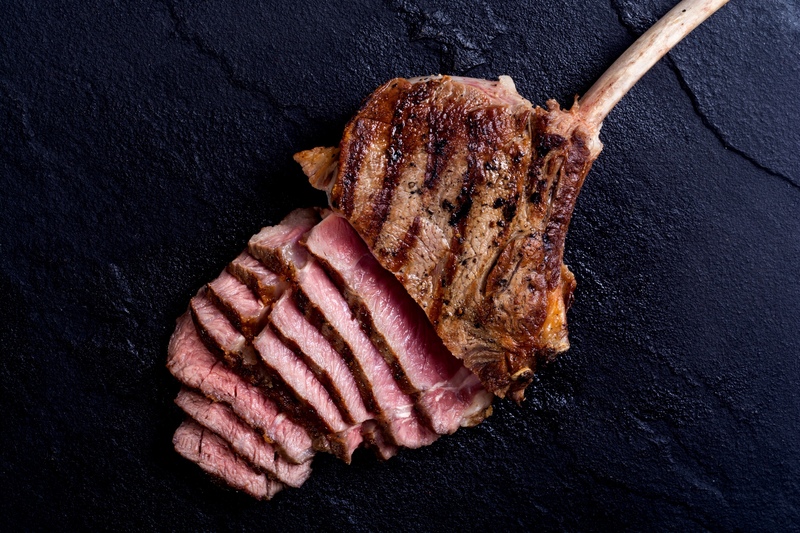 While the meat around the bone is tender, juicy and packed with flavor, the long end of the bone is basically there for presentation purposes. And for gnawing on after the meal. Of course, if that's not appealing or you're not looking to impress some carnivores, then a standard (or even boneless) ribeye will do just fine. But there's no denying these make for great grilling. They just require a little extra attention. Their thick size all but guarantees plenty of tasty, seared crust and a tender, juicy medium-rare center. But it also makes them all too easy to end up with an over-charred exterior and cold, raw middle. And these are too gorgeous and too expensive to screw up. Your best bet, like with all steaks, is to cook it at a low, steady heat before finishing it by searing over a high heat. All you need is some salt and pepper and a grill. Then, simply follow the instructions below. Season your steaks liberally. At least an hour before cooking, sprinkle all sides of your meat evenly with salt and pepper. This draws out some moisture from the meat, creating its own brine that's reabsorbed, resulting in tender meat and a deeper flavor. Set up your grill for indirect high heat. 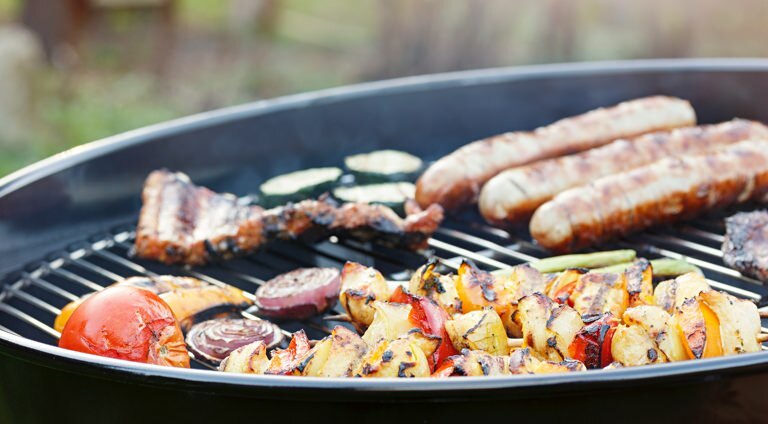 You want a two-zone area—half the grill with direct high heat, and the other half with no heat. 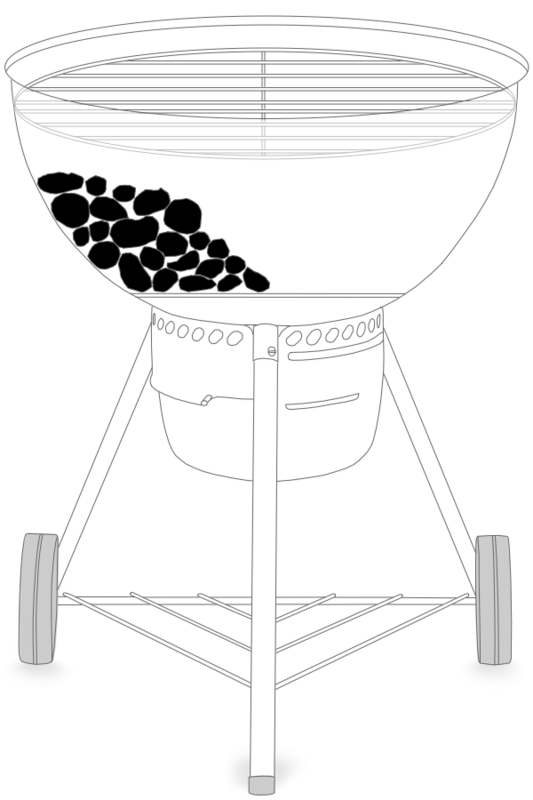 With charcoal, you want to fill and light a full chimney starter, wait for the coals to be mostly covered with gray ash and then pour it in a tight pile over half the grill, two to three coals deep. 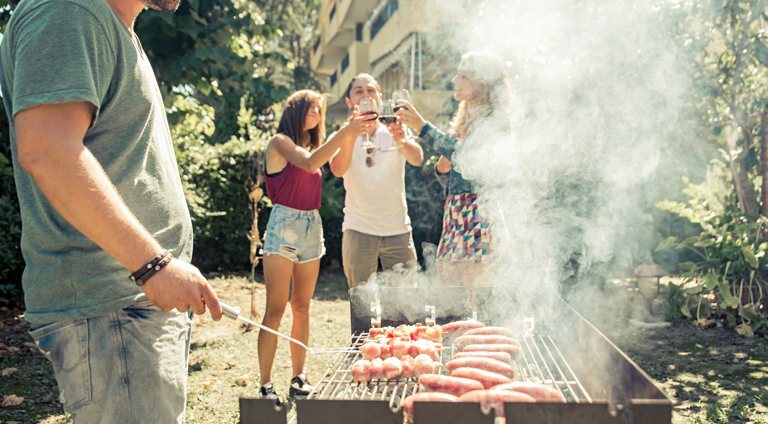 If using a gas grill, light up one set of burners to high and leave the others off. Then you're ready to brush your grate clean and oil it. Put the steaks on the grill over indirect heat, away from the lit coals, with the bone side of the steaks facing the heat. Cook the meat over the cooler side of the grill with the lid on, flipping every five minutes or so until it reaches 10 to 15 degrees cooler than the desired finished temperature (130° final temperature for medium-rare, 140° for medium). Because of the meat's thickness, this can take up to 30 minutes. Move the steak to the hot side of the grill to sear the outside. Grill with the lid off, flipping every two minutes, until the meat is browned and has formed a nice, crusty exterior. This takes about 6 minutes. 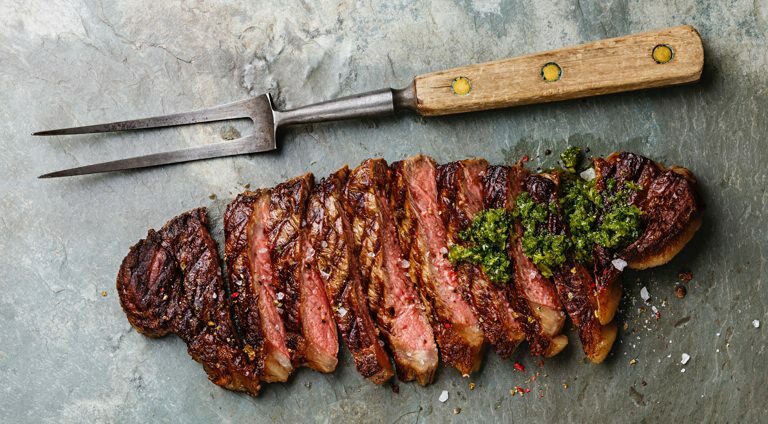 After your steak has been seared, transfer it to a cutting board or large serving platter and allow it to rest, tented with foil, for at least 10 minutes. Make sure to show the whole steaks off to your guests, then carve by running a sharp knife along the curve of the bone to separate the meat from the bone. Then you can either slice the steak into thin strips or cut them into small steak portions for each person. The bone can be passed around as an appetizer or given to one very lucky dog. While they might be available at your local butcher counter by special request, you can also easily order quality tomahawk steaks online, shipped direct to your door. Porter & York sells via Amazon Prime. Omaha Steaks offers them through their Private Reserve. 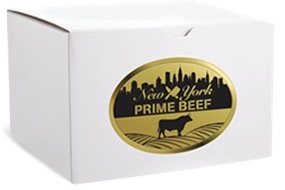 And a recent find, New York Prime Beef, offers generous cuts of quality dry-aged ribeyes, shipped for free overnight.